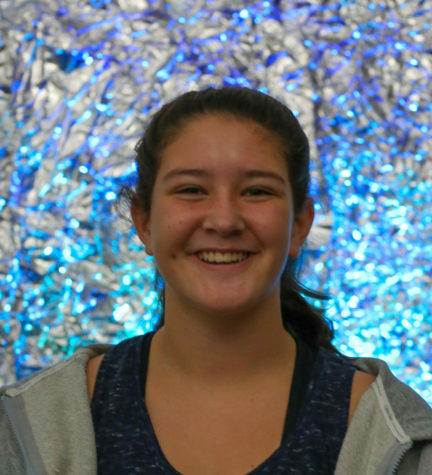 Ally is a hard-working freshman who enjoys playing sports and hanging out with her two dogs. Ally is a strong-willed, optimistic, goofy person. She can get very competitive when playing volleyball and basketball, or even just playing flag-football in gym class. Even though she is just a freshman, Ally is already very involved at Liberty. Outside of school, she likes hanging out with friends, playing with her dogs Yoda and Chewy, and reading. Ally is looking forward to her future years in journalism, and whatever else high school has to offer her.